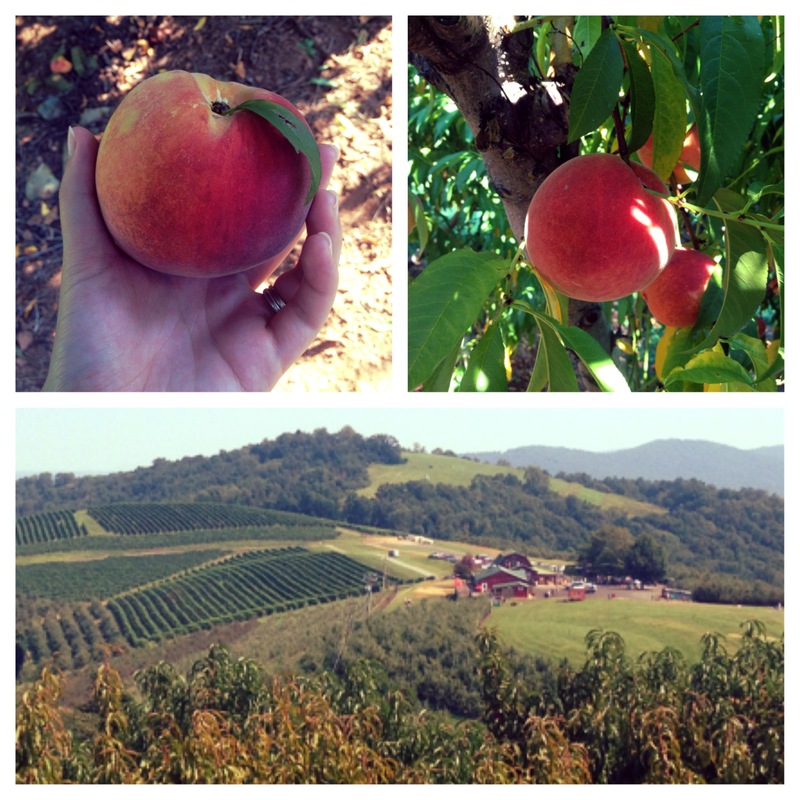 This morning, I went peach picking with my husband, a good friend of ours and her son (aka, my little boyfriend ;)). We had so much fun and I was more than happy to sample the goodies. So much that I left the orchard with a tummy ache…but the good kind! I came home with a few pounds of freshly picked peaches and I cannot wait to turn them into something (even more) yum. Cobbler, crumble or pie, I’m not sure yet but whatever it will be, I cannot wait to bake it! This whole peach mania made me think though… with the school year starting two weeks ago and the fact that this is my first year as a lead teacher, I must admit that I haven’t had much time to think about new recipes to try. I have mostly been on cruise-control, making fairly boring meals that I haven’t been too excited about. But I have hope to get back to my foodie self, as soon as I settle into my new routine. Although this recipe didn’t necessarily taste like real Alfredo sauce, I really loved it and plan on making it many times again (once I go through the two extra mason jars I have in the freezer). 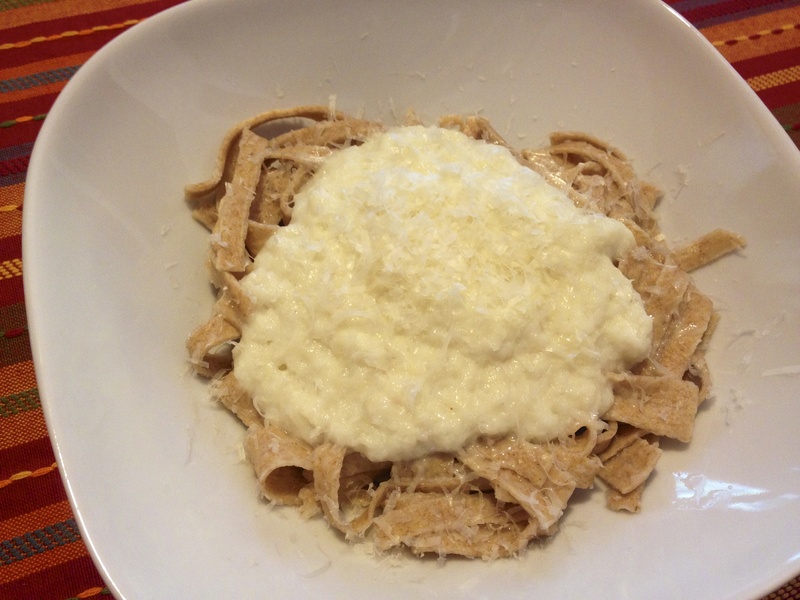 Yes, it tastes like cauliflower but add enough Parmesan cheese and it becomes super tasty! The goal here is not to get something that tastes exactly like Alfredo sauce but to get a good healthy, but still creamy alternative when you don’t feel like adding up all those calories in one single meal. 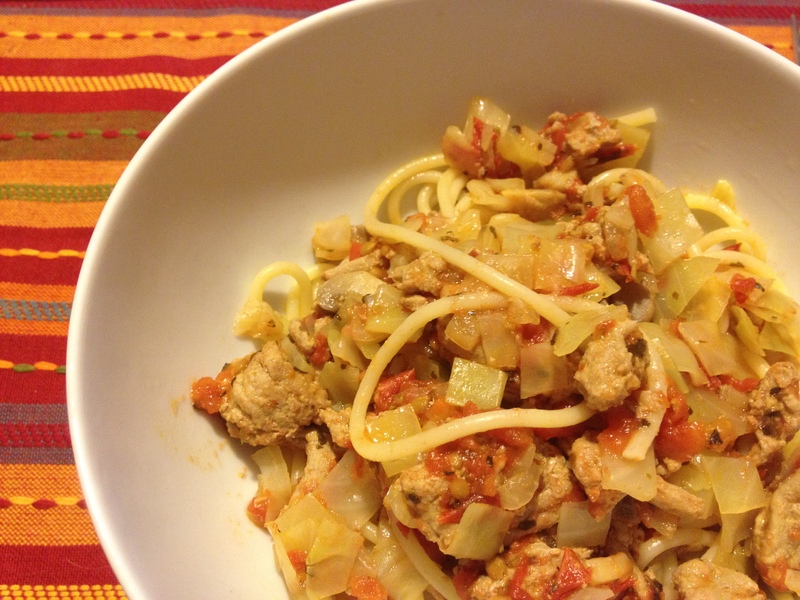 Check out the original recipe from Pinch of Yum. I’m excited to try various modifications of this recipe, maybe adding some pesto or fresh basil in the future. I see so many possibilities! Instead of using regular pasta noodles, I decided to serve my cauliflower sauce on the homemade whole wheat noodles sent by my May Foodie Pen Pal, Amy. The noodles were fantastic and I’m glad I saved some. I would love to use them in chicken noodle soup when the weather will cool down. Start by cooking the onions with olive oil in a large pot on medium-high heat. You don’t want them to brown, only to become almost transparent. Then add the turkey and cook until you don’t see anymore raw meat (no more pink). When the meat is almost done, add the mushroom. You can add more olive oil if it gets to dry or sticky. Serve over pasta or in a bowl by itself. Unless you are feeding a large family, expect a lot of leftovers. I ate mine for several days and still managed to freeze a big container (for 2-3 pasta portions).